This low-maintenance internal courtyard adds a layer of tranquillity to life within this Chelmer residence. An unexpected encounter as you enter the home, the courtyard provides a place for quiet reflection and brings a calming ambience to key indoor areas. To achieve this effect, we developed a restrained concept that allows the eye to rest on each detail. 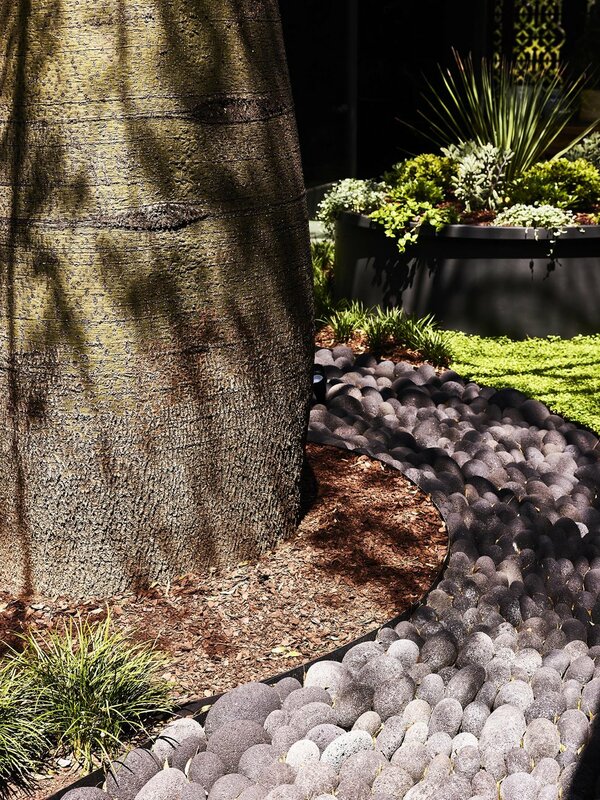 Starting with the existing boab tree, we layered plants, textures and materials into the design to carry the home’s architecture into the courtyard. Bringing nature inside the home did pose access challenges during construction, and other factors including leaf drop of the boab tree and irrigation also had to be accounted for in the planning stage. The result is a contemporary, sub-tropical take on the Japanese tradition of internal courtyard design that creates a sense of spaciousness in the centre of the home.